Sir Geoffrey and Lady Howe leave for the Commons to present his budget. 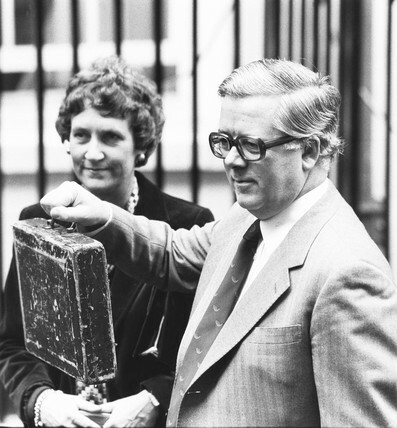 Sir Geoffrey and Lady Howe outside 11 Downing Street, London, March 1982. OAPs' lobby, London, March 1981. Maud Gould, OAPs' lobby, London, March 1981. Chancellor Nigel Lawson and family, St James' Park, London, March 1985. Pedigree Persian cat, December 1983.